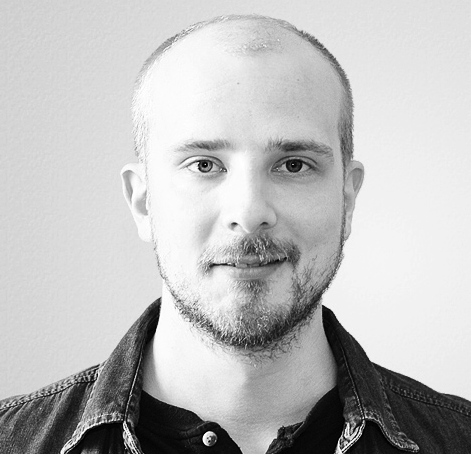 Here’s a quick tip in response to a query in Twitter by Riccardo Mares. 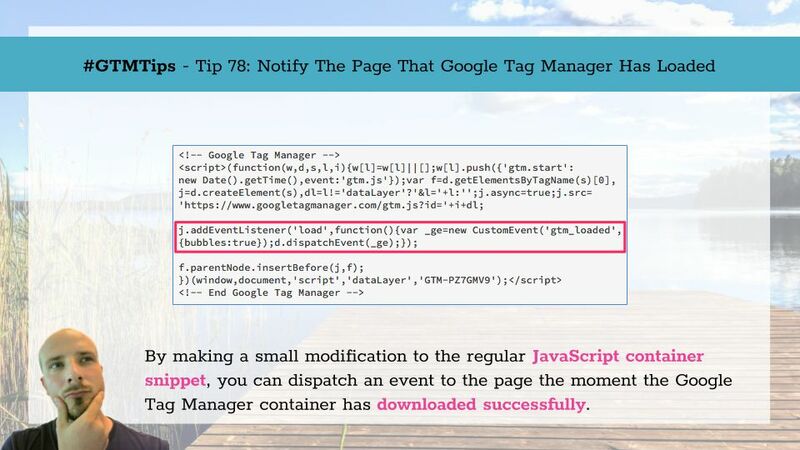 By making a small change to the Google Tag Manager container snippet, you can have the <script> element generated by the snippet notify the page as soon as the Google Tag Manager library has downloaded. What you do with this information is up to you. If you are working directly with the google_tag_manager interface, for example, it might make sense to not act until the interface has been established. You need to add the following code into the container snippet, immediately after the +i+dl; and immediately before the f.parentNode.insertBefore. Now, when the Google Tag Manager container has been downloaded from Google’s servers, the load listener will dispatch a new browser event named gtm_loaded. In this example, the code first checks if GTM has already been loaded. If it hasn’t, it creates a new listener on the window object that waits for the gtm_loaded event to bubble up to it. As soon as the Google Tag Manager library has been downloaded and initialized, the event is dispatched and the listener for gtm_loaded will go off.